Just a quick post to let you all know.. I had my 20 week scan today! I was incredibly nervous about it, I can’t tell you why though. Maybe because this is the scan where they check for abnormalities. All was okay with our little one, and I am pleased to say we stayed TEAM YELLOW! 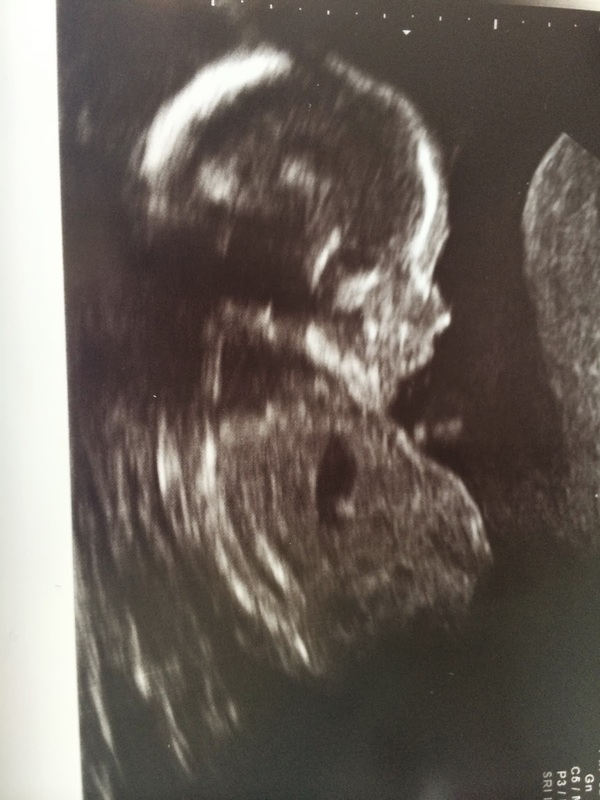 As soon as the sonographer asked if we wanted to find out, Freddie stepped straight in and said ‘we’re keeping it a surprise!’ I wanted to find out! Oh well only 4 months to go.. so not long. Without further ado’s here’s our mini me 🙂 look at that little nose! !